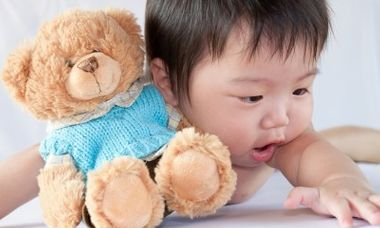 Your baby’s delicate skin requires simple special needs to avoid skin outbreaks caused by heat exposure or diaper rash. A diaper rash is an irregular reddish skin eruption that occurs in the genital area, legs under skin or rear bottom of a child in diapers. Sometimes it may happen due to an allergic reaction to any materials in the diaper of your preference or because of the heat and humid reaction created when utilizing diapers. If it is not an allergic reaction, which will require an immediate visit to your pediatrician, then, it will be very simple to take care of, as long as you treat it in an early stage. We must pin point this “early stage” clarification here, because some parents due to the natural era that we see now-a-days, some parents see the rash and expect to disappear by itself; unfortunately that is not the case and when caring for a baby, creams, lotions and rash remedies are necessary to protect baby’s skin from all the pollution and contamination we have around the world. It is important to emphasize that when you see a rash in your baby’s genital area, it is PAINFUL to the TOUCH and to WATER. Sometimes if in episodes of diarrhea, water cleaning is necessary, it will hurt as well as using some baby wipes that even without alcohol, and it will burn your baby. As soon as you clean, let it dry and PUT ON BABY DIAPER RASH CREAM, lots. As soon as you close the diaper, most of the cream will be wiped out by the diaper itself, meaning that your baby skin is unprotected as soon as urine or stool shows up again. Be generous and use plenty of cream. Rash can happen under arm and under neck, anywhere that we have skin excess and skin contact. Baby creams are excellent to cover these areas too. Even with cream, check often and keep dry to help your child heal skin as fast as possible. Stool contact with skin WILL CAUSE rash in baby’s skin at some point. With the acids contained in the stools, delicate skin, even with diaper rash cream may turn red and painful for some children. Humidity created with heat and wetting. Even the most absorbent diaper creates humidity, it is science. Diaper friction with skin parts, especially in thighs and waist. Change diaper as often as possible. Do not sacrifice your baby’s skin with cheap material, use good quality diapers. Dry your baby’s skin before putting diaper on. When cleaning your child with baby wipes, leave them without diapers for a few moments or if in a hurry dry with a soft baby towel to ensure dryness. Some parent like to use baby powder or diaper cream after each diaper change; it is up to your likes. If using baby powder make sure you will not pump it too hard that many particles are lose in the air your baby is breathing. Keep your child in well air ventilated area, fan air or air conditioning if possible; outside humidity, pool and beach water combined with sun and day heat will create moist excess and if diaper rash is already present it will worsen.